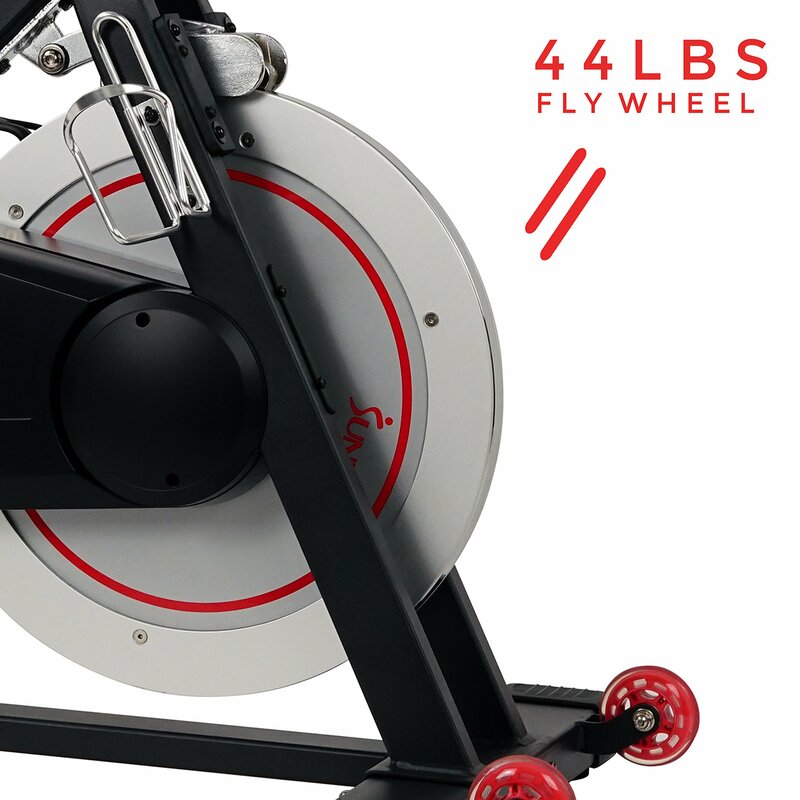 HEAVY-DUTY FLYWHEEL: Intensify cardio w/ 44 LB Flywheel. 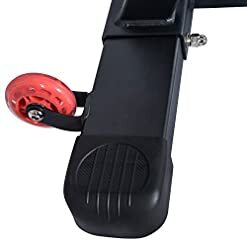 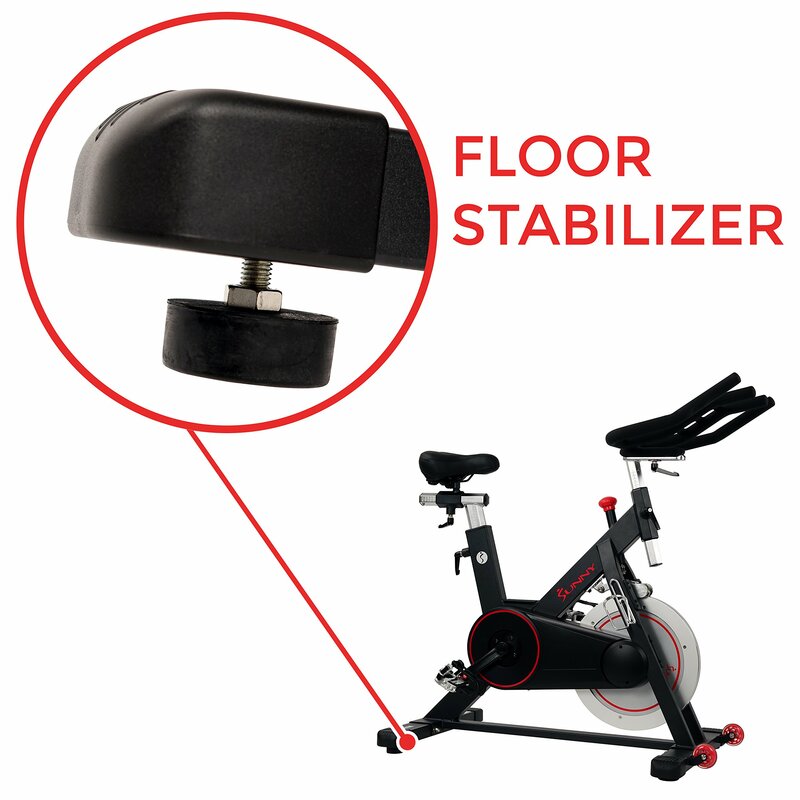 Strengthen your legs with a higher weighted wheel and enjoy an incredibly smooth, nearly silent and stabile ride. 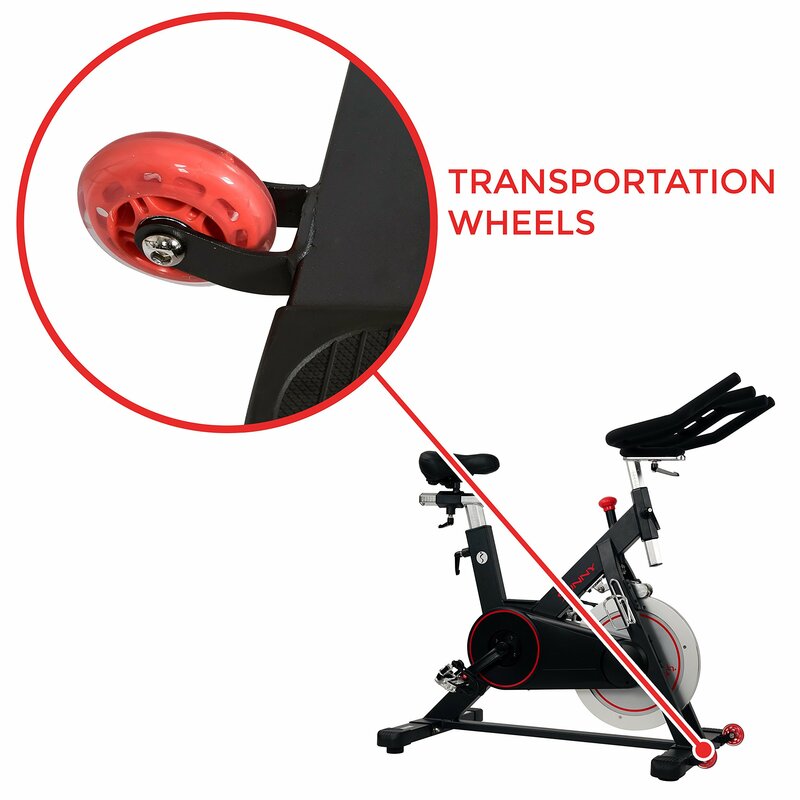 SAFETY & CONVENIENCE: Transportation wheels for easy portability. 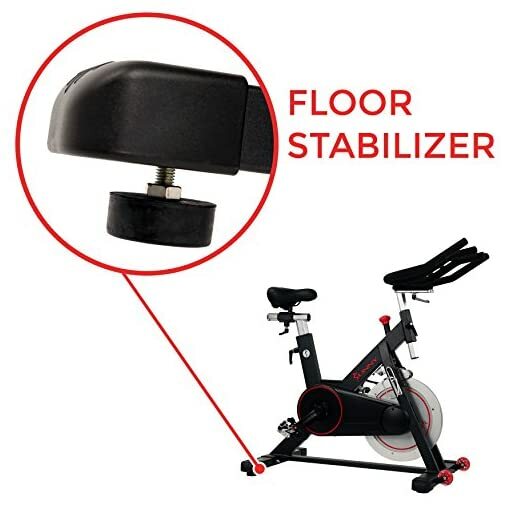 Emergency stop brake for safety in case wheel is spinning too fast. 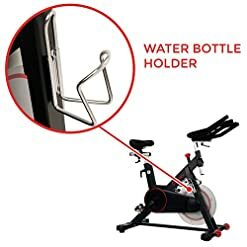 Water bottle holder makes hydration close at hand. 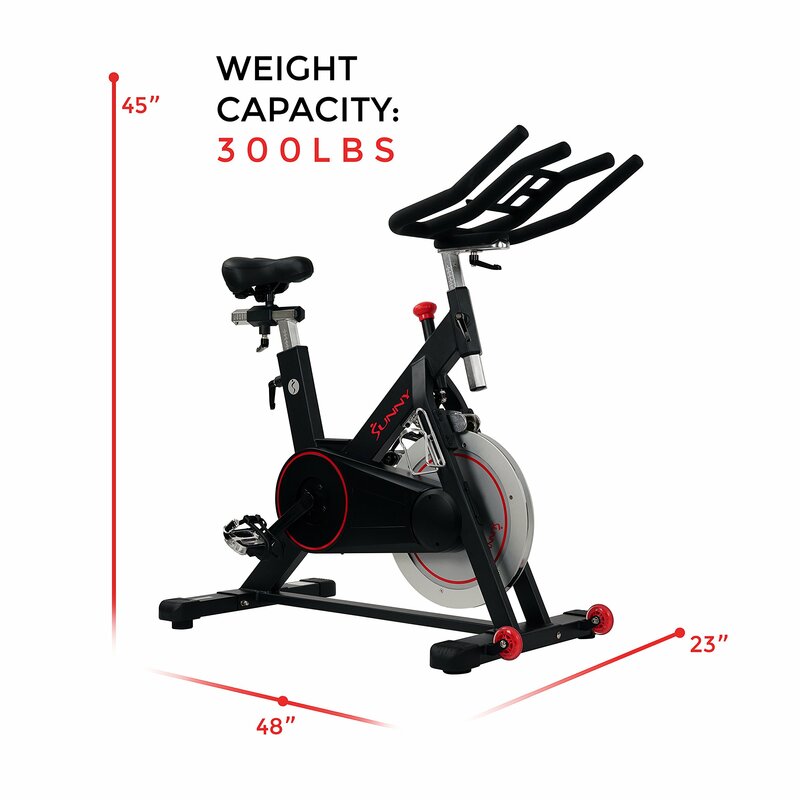 Push yourself to become stronger, faster, and better with the SF-B1805 Magnetic Indoor Cycling Bike. 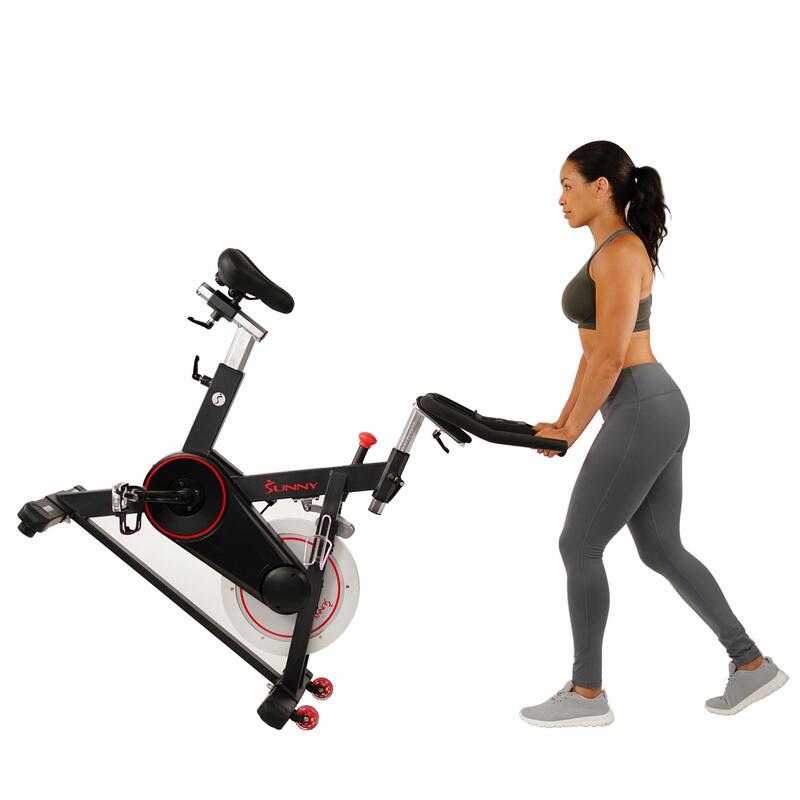 Experience a high intensity cardio workout with the cycling bicycle that supports multi-hand grips and high-interval training. 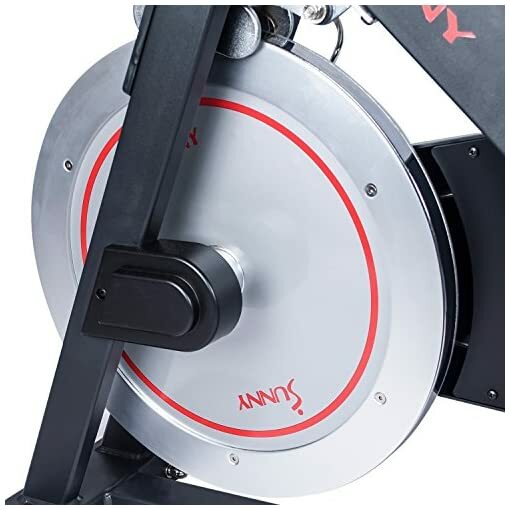 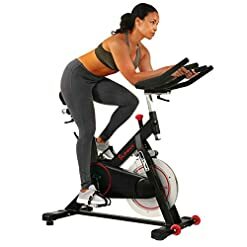 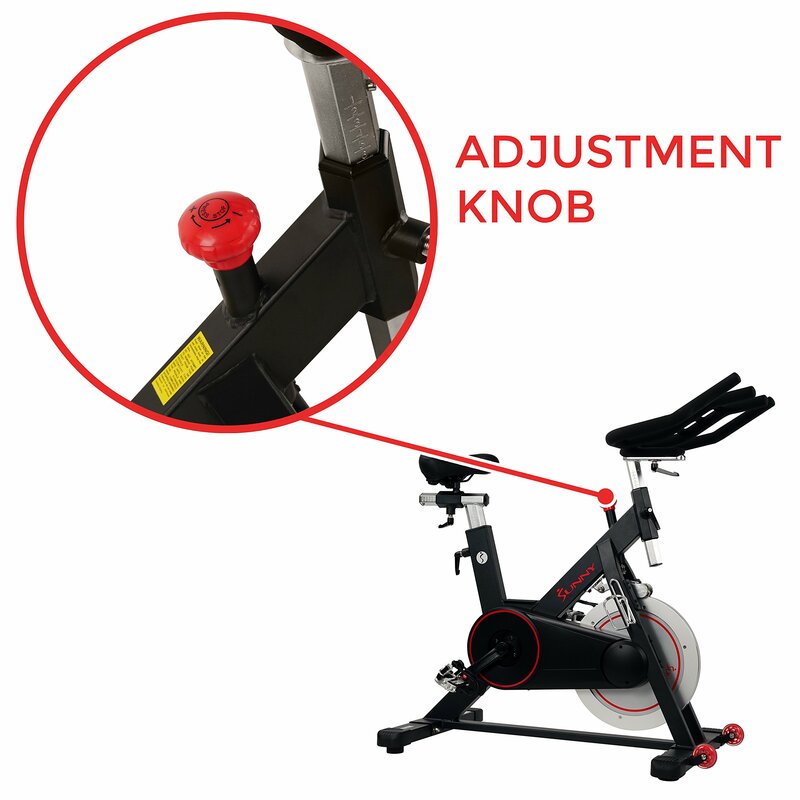 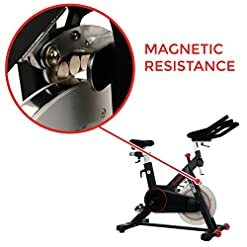 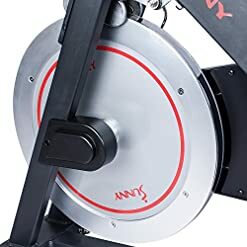 The magnetic resistance creates an unbelievably smooth and nearly silent ride helping you achieve a better cardio and metabolic fitness routine. Step into the toe-caged adjustable strap pedals and begin a fitness journey that you can be proud of. Feel secure on the heavy-duty steel frame supports up to 300 LB Max Weight. 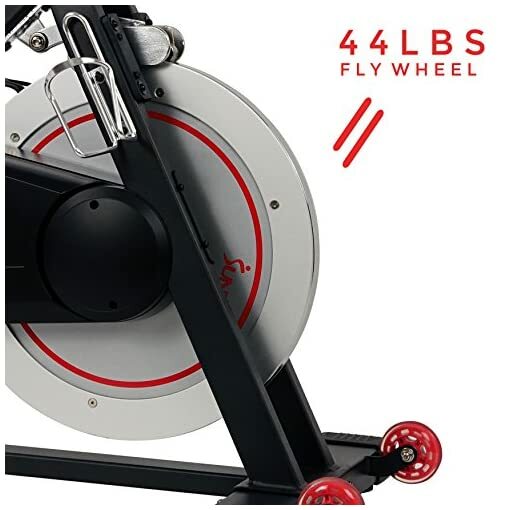 The incredible 44 LB flywheel promotes improved physical fitness training and strength training utilizing a low impact cycling machine. 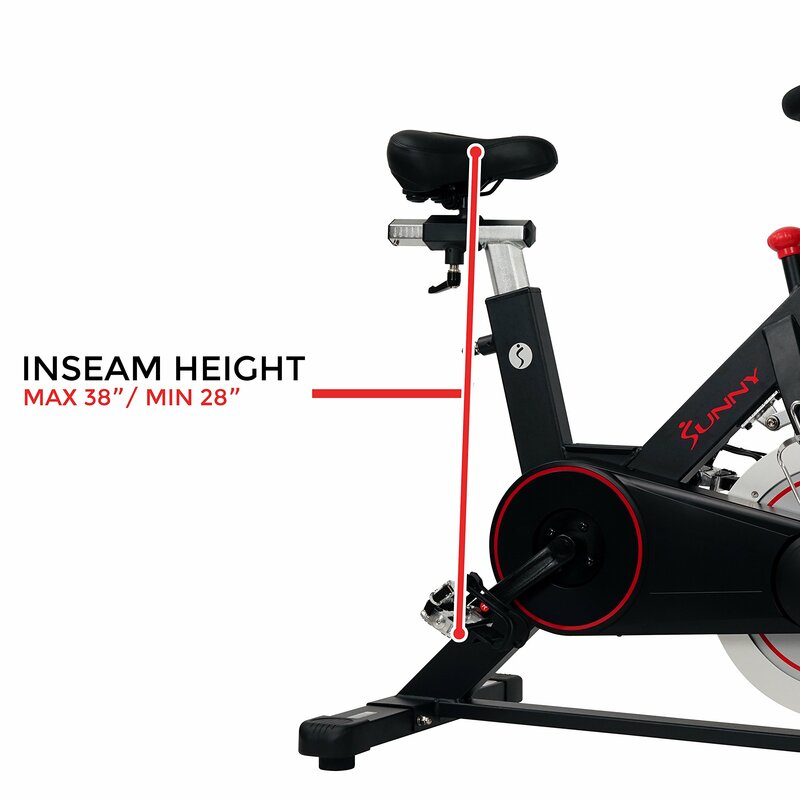 Increase the micro-adjustable resistance challenging your legs to really feel the burn as you push against the 44LB flywheel. The cycle bike is designed with a four-way adjustable seat and handlebars for a completely customizable bike. 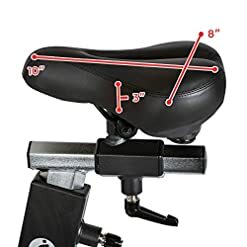 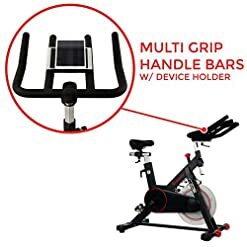 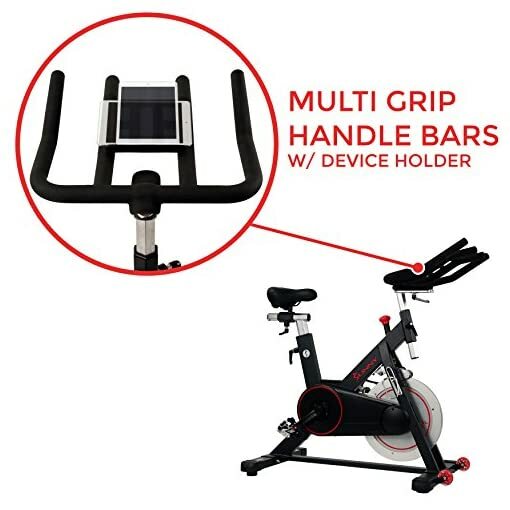 Follow along your favorite videos when you place your tablet or mobile device on the device holder located conveniently between the sweat-resistant handlebars. 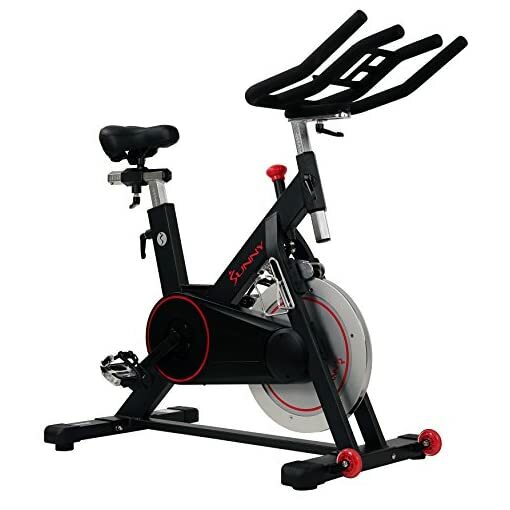 Maximize your physical fitness routine with the SF-B1805 Magnetic Indoor Cycling Bike by Sunny Health and Fitness. MAGENTIC REISTANCE: Virtually no maintenance, micro-adjustable resistance creates an unbelievably smooth ride creating multiple levels of riding for enthusiasts of all levels. Belt drive mechanism.